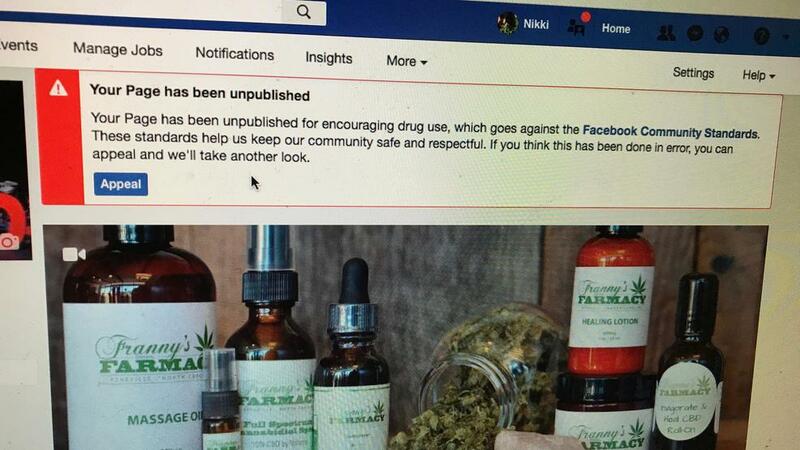 Facebook has begun banning hemp pages just days after President Trump signed the Farm Bill, legalizing hemp nationwide. 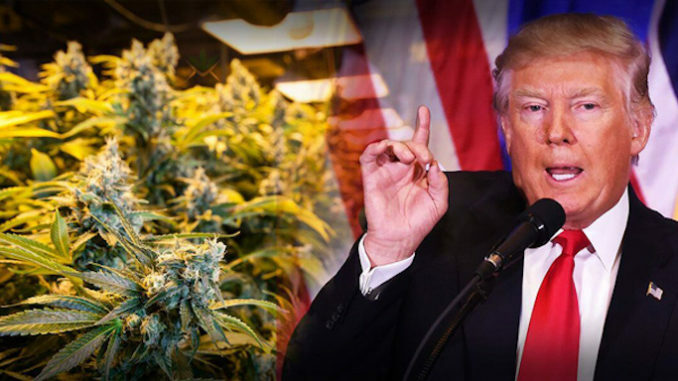 Just one month after Trump signed the historic bill, Facebook has begun an aggressive campaign on behalf of Big Pharma to eliminate all pages related to hemp. Thefreethoughtproject.com reports: Just as the farm bill was passed by the House and Senate earlier this month, the page for hemp grower “Franny’s Farmacy” was banned. “We had that up for about the first month, got a few thousand followers, it was great, it was really driving sales, then it disappeared,” co-owner Franny Tacy said. Days after being banned, Franny started a new page which began amassing new followers, but after just four days, it was taken down too. 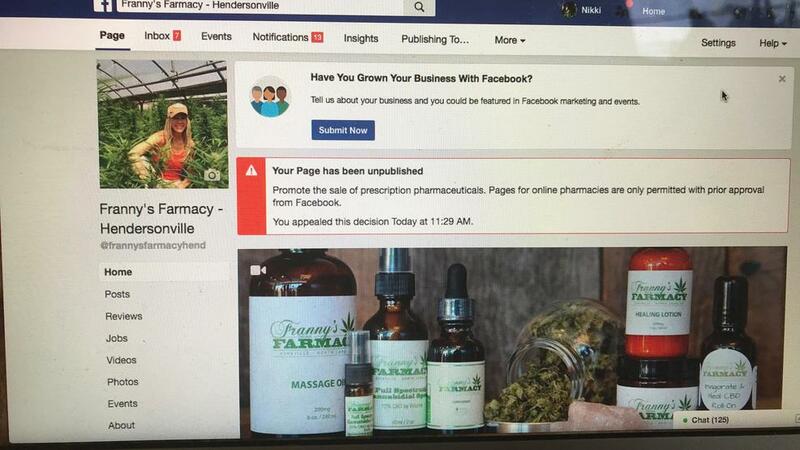 This time, Facebook accused Franny and Jeff Tacy of “encouraging drug use.” They sell no drugs whatsoever. Page admin Brian Bullman noted that they have never made any claims which could be interpreted as such. What’s more is the fact that they are a hemp company — not a pharmaceutical company — and they sell no pharmaceuticals at all. Highlighting the sheer insanity of Facebook’s bogus claims is the fact that pages like Pfizer — who actually do promote the use of dangerous pharmaceuticals — are still thriving. For those who may be unaware, Pfizer is the company behind the drug Chantix (prescribed to people to quit smoking) which has been shown by the FDA to have caused thousands of serious injuries and dozens of deaths. Meanwhile, no one in the history of cannabis has ever died from its use. But Pfizer’s ability to promote deadly drugs on Facebook’s platform — while those who promote hemp are banned — should come as no surprise to those who have been paying attention. As TFTP reported in October, after we were banned, Facebook joined with the Atlantic Council which is directly funded and made up of groups tied to the pharmaceutical industry as well as the military industrial complex, and even government itself. In fact, Pfizer’s Director for Advocacy and Professional Relations, Mia Masten, is a member. As Facebook continues to crackdown on folks who promote peace, healthy lifestyles, and sustainable alternatives to deadly medicines, they are showing their true colors — as well as their true masters. To those who don’t know how deep the Atlantic Council’s tentacles reach into all things tyranny, war, and corporatocracy, below is an eye opening short video that explains it. The Atlantic Council wields massive influence over mainstream media too, which is why when this partnership was announced, no one in the mainstream press pointed it out as the Orwellian idea that it is. Instead, headlines such as “US think tank’s tiny lab helps Facebook battle fake social media (Reuters)” and “Facebook partners with Atlantic Council to improve election security (The Hill)” were put out to spin the fact that a NATO propaganda arm is now censoring the information Americans see on Facebook.